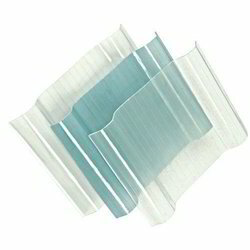 We are a leading Manufacturer of frp transparent sheet, frp roofing sheet and frp profile sheet from Pune, India. We offer a broad range of FRP Transparent Sheet which is best in the business sector with fantastic gimmicks and prevalent quality. Color Available Blue, White, Green, Sky Blue etc. Owing to the dedication of our diligent professionals, we have earned a reputed name in manufacturing the finest quality assortment of FRP Roofing Sheet. Color Available Blue, White, Green etc. We offer an extensive gamut of FRP Profile Sheet which is best in the market with excellent features and superior quality. 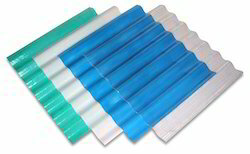 Looking for FRP Sheet ?